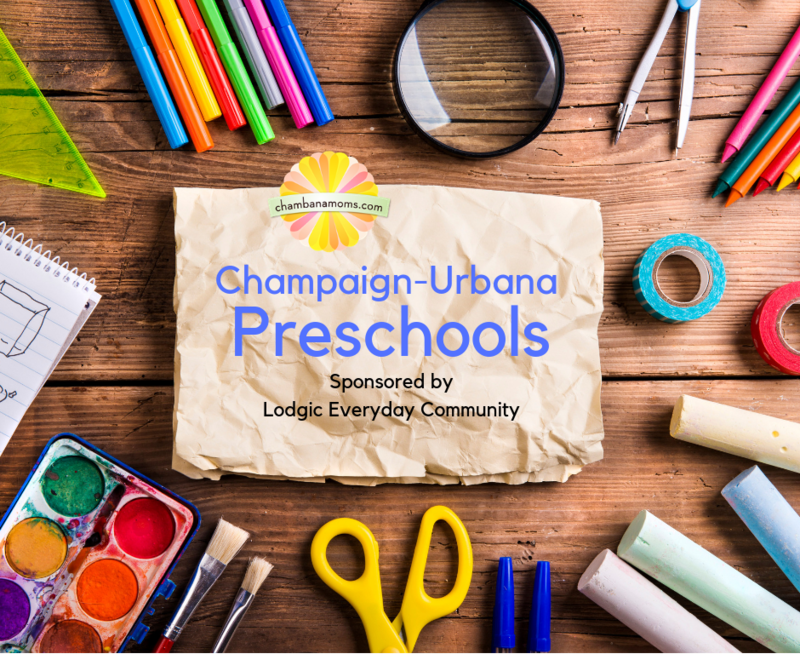 Thanks to Lodgic Kids Camp for sponsoring our Champaign-Urbana preschools compilation. Lodgic Kids Camp is a flexible, play-based learning environment of discovery and exploration. Intentionally designed for today’s on-the-go families who juggle priorities, Lodgic Kids Camp helps families balance what’s important to them by providing come-and-go, drop-in childcare that is safe, fun, and dependable. It is a high-quality early childhood education experience with a distinct focus on caring for others, social responsibility, and community contribution. For more information call (217) 607-8184, check out their website or Facebook. Welcome to the annual Champaign-Urbana Area Preschools listing. It is our belief that there is not “one best” preschool in Champaign-Urbana — or anywhere for that matter. Not every school is right for every child. That is why it is important for parents to shop around, to find what works for your child — and what works for your family. cater to children generally ages 2-5, although most are for 3-5. Many (but not all) require children to be potty-trained upon admission. are in session a few hours per day and operate on school-year calendars. There are some gray areas; some schools may offer optional extended care options and some offer extended calendar years. What schools are NOT in this guide? Centers that ONLY offer year-round, full-time care are not on this list. If you are looking for full-time childcare, check out our Daycare Centers Kids Love Guide. All listings are paid sponsors of chambanamoms.com. Are you interested in being a part of our Champaign-Urbana Area Preschool Resource and aren’t already listed? Please complete this form. Preschool curriculum: The foundation of its child-centered, play-based curriculum is guided by the implementation of The Creative Curriculum for Preschool, along with an engaging creative arts program, and multifaceted social and emotional curriculum where diversity is embraced and each child feels valued and cherished. 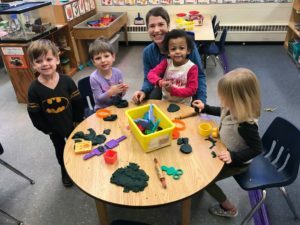 What makes your preschool unique: Since 1951, this cooperative-styled preschool has involved parents to enhance the curriculum, provide administrative support, and maintain the physical facilities. There is a very high staff retention rate with many teachers having been with the program for over 10 years. Using their backgrounds in child development, the staff’s implementation of the curriculum embraces the emotional world of children through kind, nurturing interactions helping each child develop a positive sense of self as an active learner. Open house date: Feb. 26, 6-7:30 p.m. Call or email for a tour! What makes your preschool unique: As a Reggio Emilia-inspired preschool and school, Uni Primary Preschool sees children as resourceful, playful, competent, and inventive. The school values creativity and connectedness across all content areas, with problem solving and self-directed learning in concert with teacher-guided activities and instruction. Located on campus, there is access to a variety of experts and resources that enhance interactions and discoveries in the world around us. Preschool Curriculum: My Morning Out offers a play-based curriculum with activities designed to foster enthusiasm and creativity, and to introduce academics through play. We help children become independent, self-confident, curious learners who can work well with others. What Makes Your Preschool Unique: Our Preschool program is open to children 2 1/2 to PreK. Our Drop-In program, for children from 6 weeks to PreK, is flexible and one of only a few among childcare programs in the area. You use as much or as little as you want — and only pay for the hours you use. What the Director Says: At MMO, children PLAY, LEARN and GROW! Through our Preschool and our flexible Drop-In program, children have opportunities every day to make new friends, discover the world around us and develop skills they’ll use throughout their lives. We are proud to have been an important part of the Champaign-Urbana community for more than 50 years – providing high-quality childcare to generations of families. Open House Dates: February 5th from 6:00-7:00 p.m.
Preschool Curriculum: FBC Preschool is a fun, hands-on school readiness program. Get Set for School by Learning Without Tears, is an award-winning Pre-K curriculum what focuses on playful learning to develop coloring, drawing, counting, building handwriting readiness and keyboarding. This easy-to-teach curriculum makes learning important pre-writing and letter recognition skills engaging and fun for the preschool students. What Makes Your Preschool Unique: The preschool teaching staff strives to teach the values of Christian faith to the preschool children through guided conversations, spontaneous teachable moments, Bible stories and songs. FBC preschool offers small classroom size with no more than 10 preschool students per class so that student/teacher ratio is at its best. Our 3 and 4/5-year old classes have one teacher per classroom and or 2-year-old classes have two teachers per classroom. 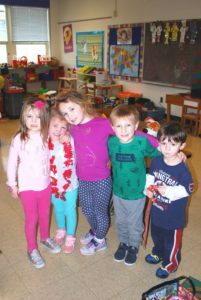 What the Director Says: The preschool has been a part of the community since 1983 and has a caring, dedicated teaching staff that is committed to helping each chil grow and develop. The director’s name is Jaymie Shine and has been with the school since 1991. Preschool Curriculum: Judah Christian Preschool offers a nurturing, Christ-centered learning environment for children ages 3 and up. 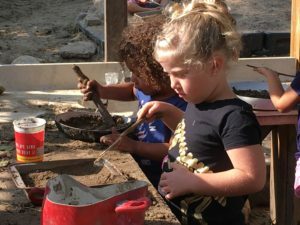 Through a combination of play-based learning, teacher-led instruction and hands-on activities, children form a solid foundation in the following domains: math, science, language, social and spiritual. The curriculum at JCS well-prepares our preschool students for elementary school and beyond. 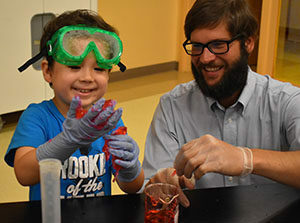 What Makes Your Preschool Unique: JCS strives to educate students from a Biblical perspective and focuses on teaching children the way God has created them to learn. Further, JCS is a fun, safe place to learn where talented educators spend their time teaching the whole child. The genuine family atmosphere truly sets JCS apart. What the Director Says: Judah Christian Preschool is a wonderful place to begin your child’s educational journey. We are a well established, academic preschool with the foundational base of a Biblical worldview. Our students have the opportunity to learn and grow in the Lord each day with caring, experienced preschool teachers. JCS is truly a special place! Open House Dates: For information or to view a list of open house and tour dates, please visit our website at www.judah.org, or contact our Director of Admissions at 217-359-1701. 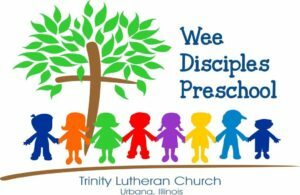 Preschool Curriculum: Wee Disciples Preschool encourages self-directed, play-based learning paired with direct instruction by an experienced teacher. Our study of the Bible, as well as the various units of study, guides our teaching and learning. The major areas of child growth and development are spiritual, social-emotional, cognitive, language, and physical. Our program provides a balance of large and small group activities and is organized with learning centers that promote concepts in the curriculum areas of Bible stories and worship, language arts and emergent literacy, mathematics, science and technology, social studies and Christian attitudes, music, art, fine and gross motor skills, and dramatic play. Assessment of student skills and interests assist teachers in adapting the curriculum to meet the individual needs of all students. What Makes Your Preschool Unique: Wee Disciples Preschool embraces Christian attitudes and teaches the love of Jesus throughout the preschool day. We strive to provide a quality, Christ-centered Early Childhood program that is developmentally appropriate and meets the various needs of all students in a multi-age group classroom. We support families in preparing their child for Kindergarten by providing comprehensive student progress reports and parent teacher conferences twice a year. We also offer many activities to bridge school and home such as weekly newsletters, weekly literacy bag check out, monthly student/parent homework, parent volunteer opportunities, and family activity nights. Open House Dates: Registration for the 2019-20 school year begins March 1st. To schedule a school tour email at weedisciplespreschool@yahoo.com. 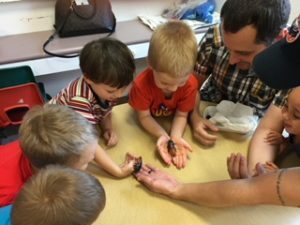 Preschool Curriculum: At St. John Little Lamb Preschool, we encourage students to participate in a variety of learning experiences which enhance early learning! 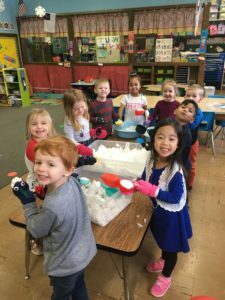 Activities at Little Lamb Preschool develop fine and gross motor skills as students engage in developmentally appropriate, play-based learning about letters, numbers, language, science, art, and more. What Makes Your Preschool Unique: St. John Little Lamb Preschool provides a caring place for students to engage in active learning which involves hands on exploration, observation, and problem solving. Our school provides an outdoor playground, garden, and an indoor gym for physical activity and discovery. Little Lamb students learn about God’s love and forgiveness through Bible stories, songs and role playing. Children’s devotions and prayers are integrated daily. Open House Date(s): Community Open House on Tuesday, February 26th, 5-6:30pm. We are always happy to give personal tours at times that work for you! Please call the school office to arrange a time for a tour. 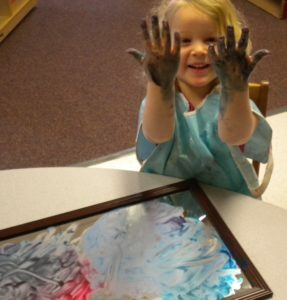 Preschool Curriculum: At Faithful Friends Preschool we learn through purposeful play. In our classrooms, opportunities abound for hands-on experiences in literacy, math, science, process art and dramatic play. 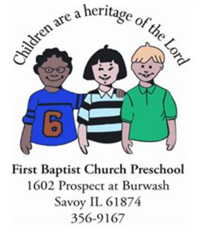 FFP provides a Christian environment that encourages learning, teaches to the developmental needs of children and respects the unique lifestyle of each child. 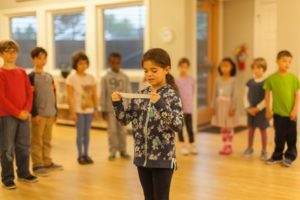 What Makes Your Preschool Unique: We have mixed age classrooms where children drive the curriculum and are encouraged to let their true selves show. We meet all children where they are and guide them along their individual developmental path. At Faithful Friends, teachers facilitate the development of secure social-emotional skills and help to build genuine relationships between kids as well as between children and adults. 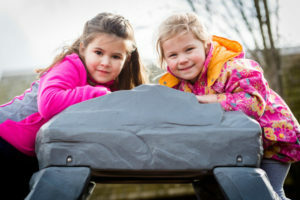 What the Director Says: Faithful Friends is a great place for children to spend their mornings filled with opportunities for authentic experiences. And while we know when the time comes, the children who attend FFP will transition right into kindergarten; our primary focus is on the now–for every school day to be your child’s best day as a 2, 3, or 4 year old! Preschool Curriculum: Coop uses the Creative Curriculum when planning and implementing activities for our classrooms, and teachers adapt their units of study with the interests, strengths, and goals of our students each year. We offer daily art, math, literacy, and science as well as weekly music and Spanish classes and monthly Enrichment programs. Coop also uses Conscious Discipline, which is a comprehensive self-regulation program focusing on building a strong and positive school wide community. What Makes Your Preschool Unique: Families have the opportunity to assist in the classroom and are able to choose from three different levels of participation. This keeps fees lower and builds a wonderful parent community. Each classroom has a Head teacher, an assistant teacher, and one parent present every day, which gives us a better adult/child ratio than most preschools in the area. Children do not have to be potty trained to enroll in school, and we have a Friday morning parent-child playground called Good Beginnings on Fridays from 9:30-11:30 a.m. for kids from birth to age 5, which is a great way to help your little one get ready for preschool. What the Director Says: Coop is an amazing and unique community because of our families! Coop provides a diverse, safe, and nurturing environment for each child that encourages self-confidence, independence, responsibility, and socialization. Our staff is compromised of well trained teachers who have been with the school for years, and most of whom have children who are current students or alumni. My boys developed a love of learning and made lifelong friends at school, and our staff look forward to assisting your children any way we can along their school journey, too! Open House Date(s): Thursday, Feb. 21 6-7 p.m. and Friday, Feb. 22 10-11 a.m.
Preschool Curriculum: Our program provides children with a warm, loving, and nurturing environment where they are valued and celebrated as individuals. Our teachers provide individualized learning opportunities for each student, always challenging them to extend their thinking while providing the loving support a child needs to feel in order to do so. In addition to math and language, our program also includes art, science, music, Spanish and literacy classes taught by specialists. What Makes Your Preschool Unique: The newly constructed preschool building supports our dedication to holistically educating each child. A science classroom, indoor gymnasium and reading room provide preschool students with unparalleled learning opportunities. Children enjoy a daily schedule that is balanced with plenty of time for play and fun, active-learning experiences. What the Director Says: We value open communication with our families and view partnerships with them as a vital component in helping each child reach his or her fullest potential. Preschool Curriculum: For almost 60 years, Montessori School of CU has been a home away from home for our students, faculty and families. We are a community committed to encouraging life-long learners, respecting independence, and positively impacting the world — one child at a time. From 15 months to 12 years old, we have prepared spaces for your children to explore! What Makes Your Preschool Unique: MSCU is a school where students are known and respected as individuals while being challenged and supported in their growth. Our mixed aged classrooms offer personalized learning at his/her own pace through hands-on exploration, guided practice, integrated projects, peer-mentoring and collaboration. Preschool Curriculum: Carle Auditory Oral School (CAOS) is a private school program focused on listening and spoken language development. Originally founded as a school for children with hearing loss, it was quickly discovered that the hands-on, language-rich learning environment has tremendous benefits for children with normal hearing as well. Small class sizes, highly-skilled teachers, thematic lessons and environmental learning give students the edge they need to be successful both in and outside of school. 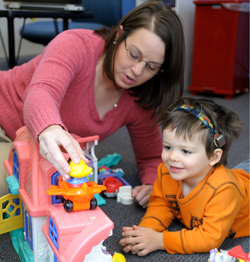 What Makes Your Preschool Unique: At Carle Auditory Oral School, children with hearing loss learn alongside those with normal hearing, creating an ideal environment for developing communication and social skills.